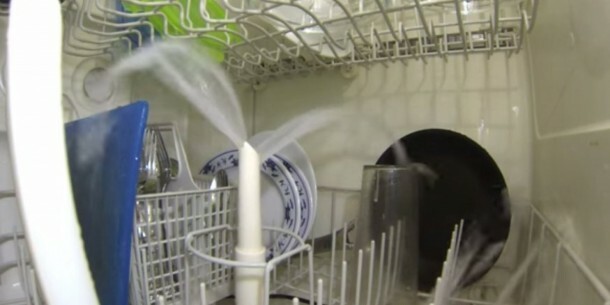 Have you ever wondered what happens inside the dishwasher when you turn it on? If you answered yes then there’s a very good chance that you’re either an engineer or you’re destined to be one. 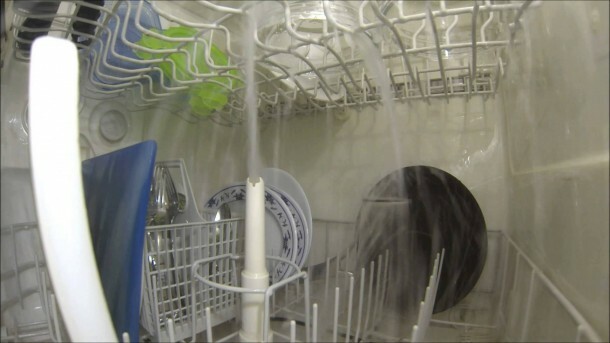 Anyway, we thought about that and decided to let our readers know and see what happens when you turn that dishwasher on! Upon being turned on, the basin located at the bottom starts filling up with water (can be cold or hot depending on the model). The heating element will then heat the water to 105-155 degrees Fahrenheit. After that the detergent dispenser opens up, allowing the soap to mix with water. The pump then makes the soapy water move through the spray arms with enough speed that results in the spinning of arms. Sloshing of soapy water continues for about 30 minutes. The dirty water is then drained from the pipes located under the sink. The basin then fills up with clean water and that is used for rinsing the dishes. 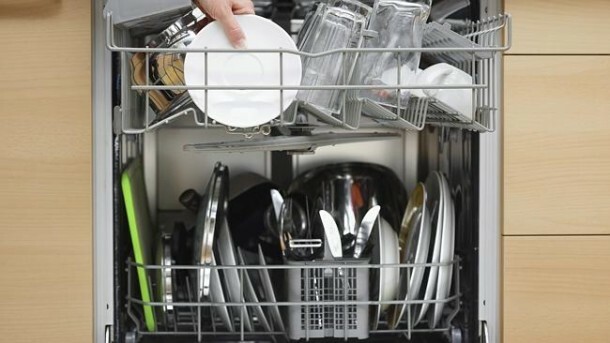 The heating element is used for drying the dishes. Open Sesame and the dishes are done! Why are there nothing in the washer? It is a total waste of water?? ?